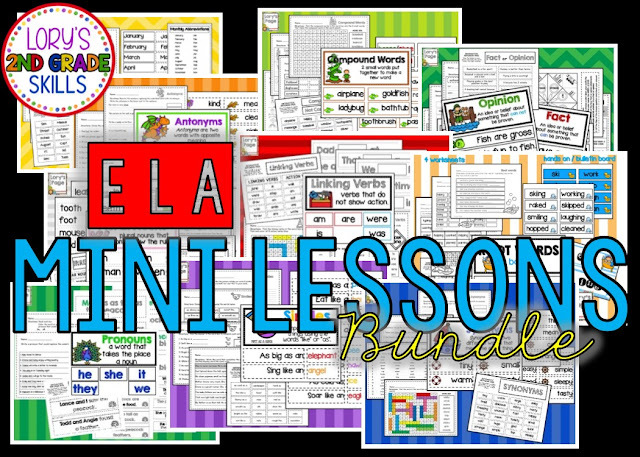 I've received many requests to bundle my ELA mini lessons... so... here they are! Whenever I make a new set... I will add it to the bundle. First of all, thanks for sharing your professional experience! I’m sure that you mini lessons will be helpful for many teachers. Becoming a teacher was my dream since the early childhood because I like learning new things and sharing my knowledge with others. Reading this article helped me to get my first job and now I try hard to help my little students as much as I can. I try to make an educational process simple and interesting for them to keep them motivated and eager for the new knowledge.